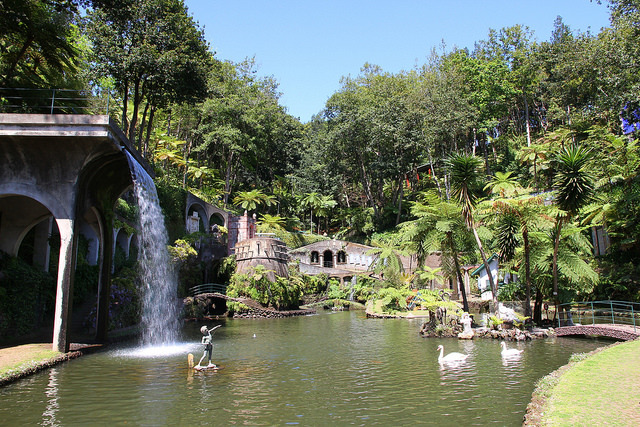 As promised in my previous post, this is a visit to a nearby but completely different place, the Monte Palace Tropical Gardens. 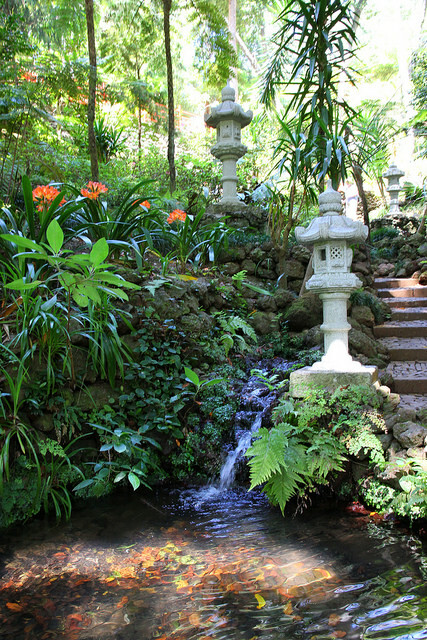 Water is omnipresent, with little streams and cascades surrounded by Japanese lanterns, ferns, subtropical shrubs such as Fuchsia boliviana and large Clivia. 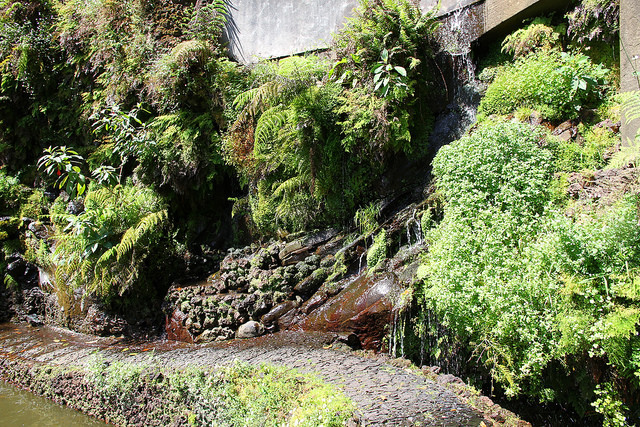 The diversity of ferns and bryophytes is incredible, here’s for example a liverwort that was growing on the side of a path. 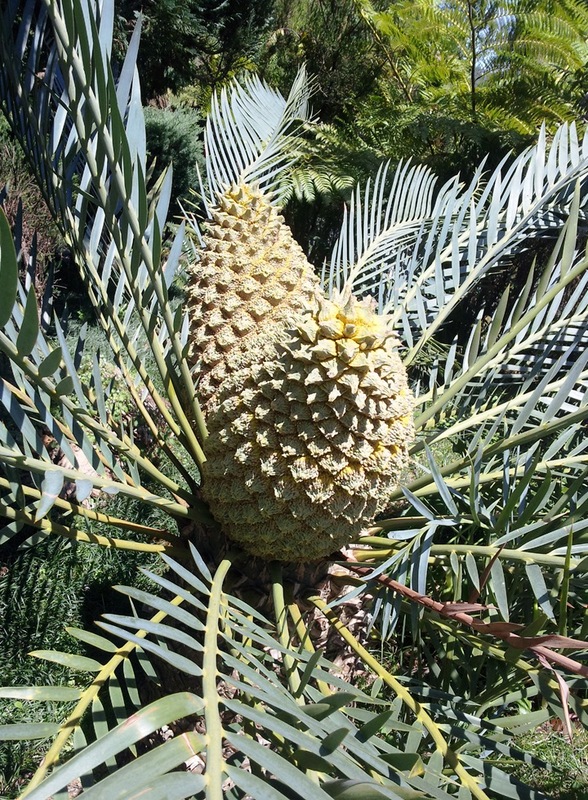 The garden is home to one of the largest cycad collection in the world, with dozens of species which are threatened in the wild. 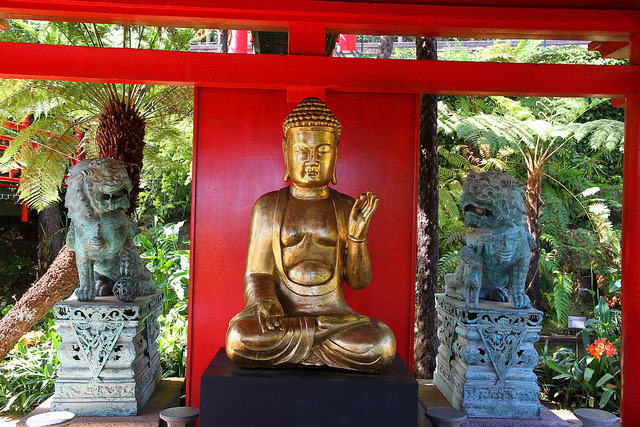 Sadly, it appears that the cycads (725!) 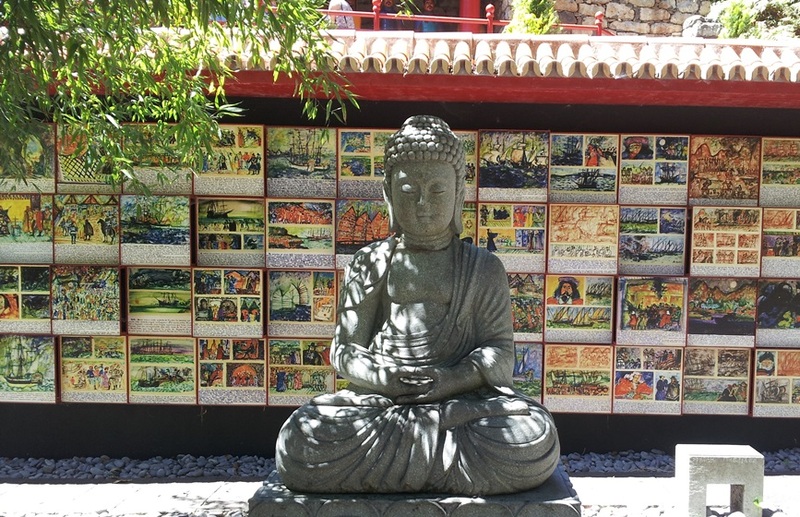 in the collection were acquired illegally, against CITES regulations by the owner of the property in 1988. 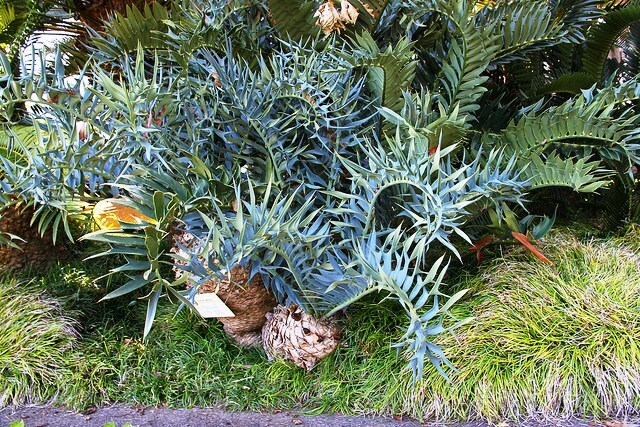 I really hope that they are propagating these plants in some way as they have a great scientific value… This is the Eastern Cape Blue Cycad (Encephalartos horridus) which is endangered in its natural range (Cape Province, South Africa). 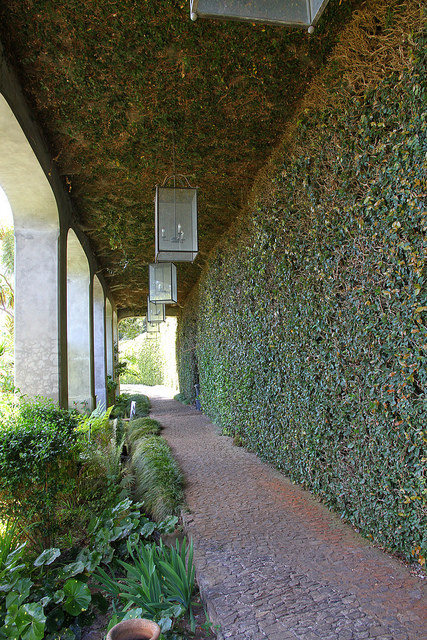 Every wall is covered in greenery – this corridor for example is filled with Ficus pumila. 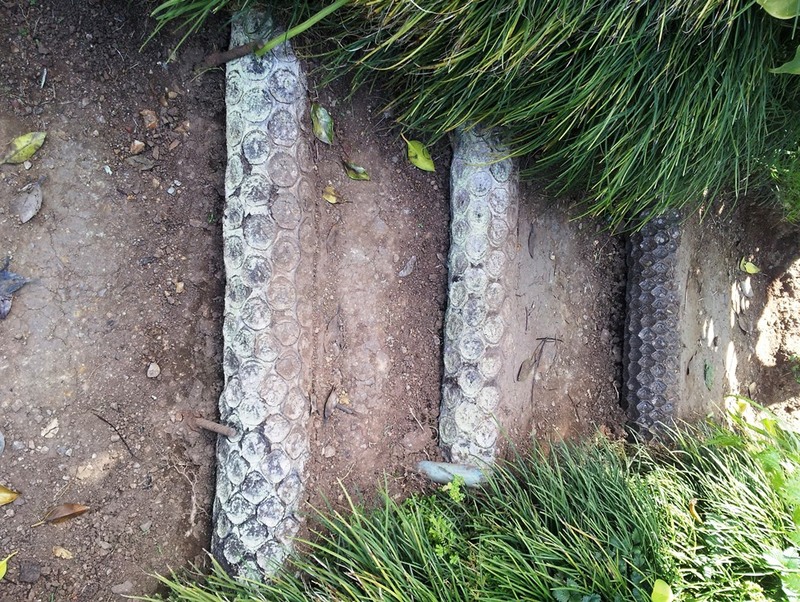 Another interesting idea is the use of tree fern caudices (trunks) as stairs – Madeiran recycling style! 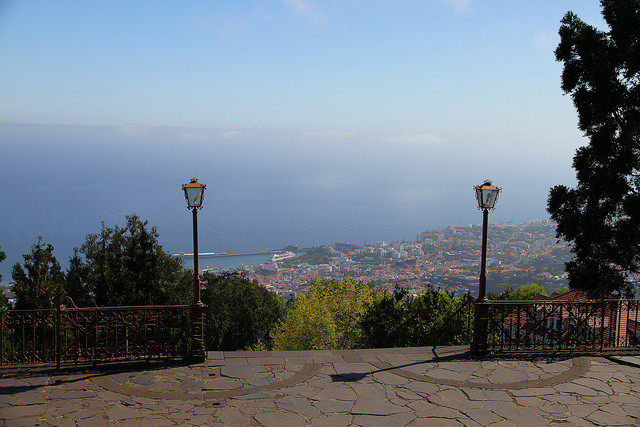 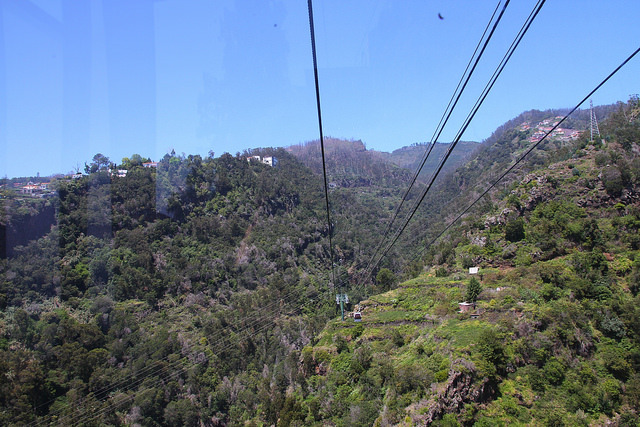 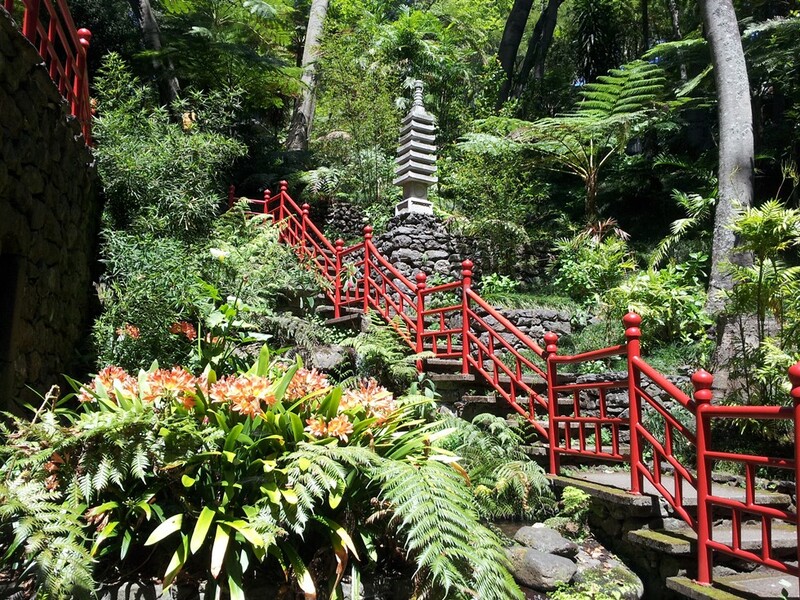 The rest of the garden is devoted to Madeiran flora and designed to imitate a typical laurel forest. 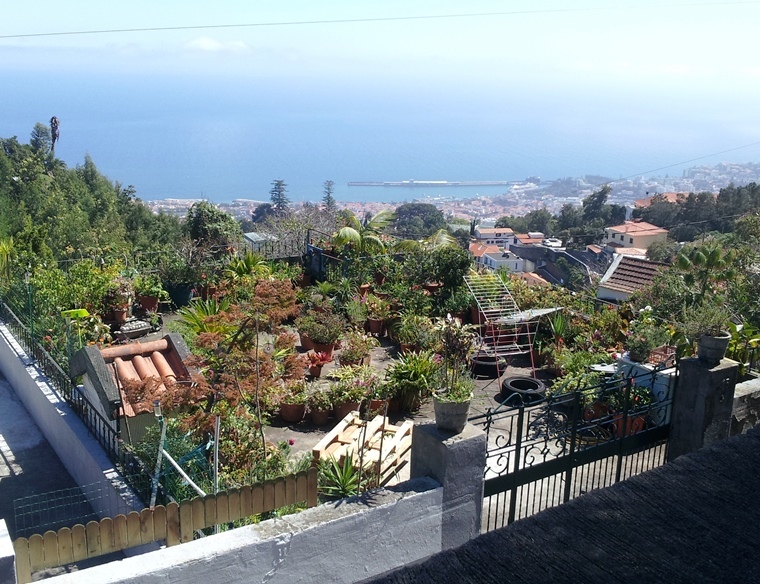 Two examples here: the endemic daisy Argyranthemum pinnatifidum and the Madeira Holly (Ilex perado subsp. 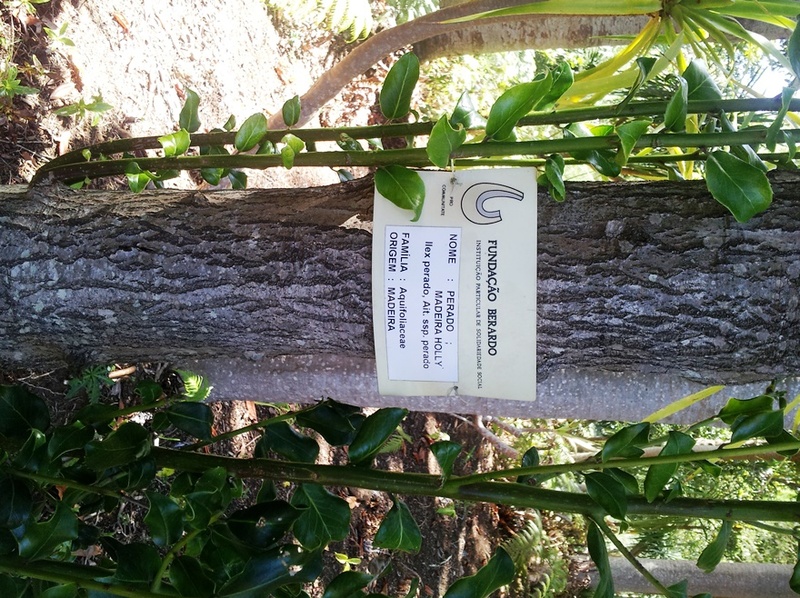 perado).